A brand-new Block DM-03 upper stage, which traces its lineage back to the Soviet Moon Rocket, the N1, made a successful debut after two failed attempts in 2010 and 2013. The door is now open to adapt the same space tug for the new-generation Angara-5 rocket. Block DM-03 was created by adding extensions into propellant tanks of the previous version of the stage. Eventually, the stage would be also equipped with a new-generation engine RD-58MF. At the end of the Soviet period, the Block D series served as the main space tug in the Russian rocket fleet. Since it was capable of multiple engine firings, the 16-ton vehicle was used for boosting satellites from initial parking orbits to further destinations in space. The stage was first developed for the N1 Moon rocket, but was later adapted as the fourth stage of the Proton launcher. The new impetus to upgrade Block D came after the end of production of the highly efficient synthetic kerosene, or sintin, which had propelled a number of Soviet launch vehicles including the Soyuz-U2 rocket and Block D series during the 1980s. RKK Energia intended to compensate for the resulting loss in performance of the operational Block-DM variant with a new upgrade designated 11S861-03 or commonly referred to as Block DM-03. At the beginning of 1996, RKK Energia issued an initial engineering proposal for the DM-03 variant. Along with several other design efforts across the industry, the program aimed to boost the payload of the Proton rocket to meet the requirement of the Russian government for the delivery of 2,300 kilograms to the geostationary orbit, matching the nation's prospective military and civilian communications satellites. At the time, RKK Energia aimed to complete the preliminary design of the stage by January 1997. The main design change in Block DM was the addition of cylindrical inserts into the propellant tanks, which would increase their propellant load by around 4 tons, bringing the total capacity to 18.7 tons. Without changing the overall dimensions of the stage, this upgrade alone would enable to boost the Proton's payload by around 460 kilograms. However in the second phase of upgrades, engineers also proposed installing the new 11D58MF engine and the new flight control system designated SUMD-58M. In conjunction with the new engine, DM-03 could also be equipped with an auxiliary propulsion initiation system burning the same non-toxic propellant as the main engine. As a result, a pair of ever present autonomous ignition systems DU SOZ (11D79), also known as ullage motors, burning toxic hydrazine and nitrogen tetroxide could be finally dropped. Most other components of the stage were to remain the same to minimize the development and testing. A preliminary design for the DM-03 stage was delivered to the agency in March 1997 and it was also submitted for evaluation to the agency's certification center TsNIIMash and to the Russian Ministry of Defense's main think tank, 50th TsNIIKS. Both civilian and military experts reportedly endorsed the new design. As a result, in 1998, RKK Energia began issuing design documentation for the upgraded stage. Most of the design work on Block DM-03 was delegated to the Volzhskoe Branch of RKK Energia in Samara. During the first half of 1998, the Krasmash factory in Krasnoyarsk, which mass-produced the Block DM series, issued manufacturing documentation for the DM-03 variant and built tooling hardware for the new tanks. Other components for the stage started taking shape at RKK Energia's own ZEM plant in Korolev. 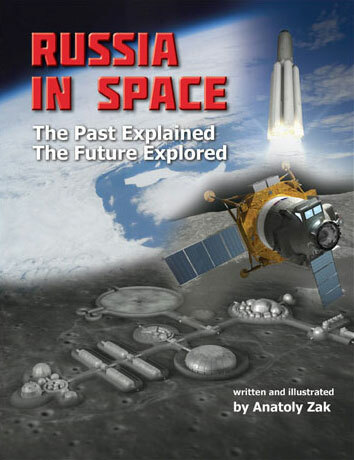 In parallel, a formal technical assignment for the DM-03 variant was also being formulated between RKK Energia, the Russian space agency, RKA, and the Strategic Rocket Forces, RVSN, which at the time, were given the responsibility to oversee Russia's military space program. On the political side, already in 1997, GKNPTs Khrunichev refused to cooperate on the integration of the new stage into the Proton, at least according to RKK Energia. Instead, Khrunichev was working on its own Briz-M stage, burning toxic hydrazine and thus without future, RKK Energia believed. From its side, GKNPTs Khrunichev argued that RKK Energia would not be able to complete the development of its stage under current financial conditions. Ironically, RKK Energia argued that much of its financial troubles stemmed from unpaid bills sent to Khrunichev for its services in the lucrative commercial launch business! It was another example of industrial rivalry going back to the dawn of the Space Era, which again threatened to result in a wasteful duplication of efforts, but now under even more severe financial circumstances. According to RKK Energia, in 1997, the Russian space agency allocated the equivalent of $3.5 millions for the development of Block DM-03. When RKK Energia and GKNPTs squared off on the issue at a board of directors meeting of LKEI, the international joint venture which marketed Proton to commercial customers, Khrunichev promised to hold off the use of Briz-M until at least 2000, which was probably the earliest year the new stage could be put into commercial service any way. On August 25, 1998, Semenov wrote to the head of RKA Yuri Koptev requesting funding for the minimum upgrades to the DM stage. By October, RKK and TsNIIMash formulated a minimal upgrade program and at the beginning of December, Koptev gave the go ahead to the plan on the condition that it would be funded jointly with a partial use of RKK Energia's profits from commercial activities. The work moved ahead slowly but had to be stopped again in May 1999, after the promised funds from the agency had failed to arrive. On Nov. 3, 2000, Koptev approved yet another attempt to continue work on the DM-03 variant and the project was included into the Federal Space Program from 2001 to 2005 with a price tag of 37.5 million rubles during 2002. RKK Energia was expected to cover 48 percent of the price tag with its own money, with the remaining 52 percent provided by the agency to the company's contractors. At the time, the DM-03 variant was expected to be used for the launch of four Ekspress-AM communications satellites during a time period from May 2003 to March 2004. To fulfill that plan, the development of Block DM-03 would have to be completed no later than 2002. (164) However all Ekspress-AM satellites were ultimately built to fit into the operational Block DM variant. On Feb. 15, 2001, Semenov ordered the resumption of work on the DM-03 stage. RKK Energia took a 150-million ruble commercial loan to fund the project. By April, engineers completed an addendum to the preliminary design of the stage with a comparative analysis of various previous upgrades, first of all those made for the Zenit-based DM-SL stage for the Sea Launch venture. It was now possible to borrow the flight control system from the DM-SL stage for the DM-03 design. By October 2001, the preliminary design got an addendum with the latest proposals for increasing the performance of the stage and the company completed the working documentation. Also, during 2001, the Krasmash factory manufactured two prototypes of the DM-03 variant for static testing and one for finalizing the design, dynamic and vibration testing. In December 2001, a prototype for static testing arrived at the TsNIIMash research institute for testing. These trials were successfully completed in April 2002. By September 2002, the plan was made to launch the Yamal-200 communications satellite on the first Block DM-03 stage (No. 1L) both built be RKK Energia, however this never materialized. Given the extra payload capability on DM-03, during 2003, RKK Energia also made an attempt to organize a tandem launch of the Ekspress-AM satellite along with a British Gemini commercial communications satellite. However, this plan also fell through. Finally, in 2004, it was decided to employ the DM-03 stage for the launches of Uragan-M navigation satellites for the GLONASS constellation, which would ultimately become the first mission for the beleaguered project. By the end of 2004, RKK Energia further subdivided the Block DM upgrade plan, developing a preliminary design for the Phase IIa upgrade, which would increase payload for the Proton-M rocket to geostationary orbit up to 3,400 kilograms. Phase IIa would precede a more radical upgrade designated Phase II. At the time, Phase IIa included adapting all the new features from the DM-SL stage on the Zenit rocket in the Sea Launch venture into the Proton's version of the stage, such as a lighter avionics truss with a more advanced flight control system and the use of structural components made of composite materials. 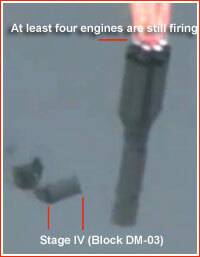 In addition, a movable nozzle extension on the main engine would be introduced. Several other upgrades were apparently considered as optional. In July 2008, RKK Energia issued a proposal for the Phase II upgrade, also known as Impuls (Impulse). It was funded under the Dvina project of the Russian space program. During this upgrade, the stage would finally receive the new 11D58MF engine and the old ullage motors burning toxic propellants would be replaced with a propulsion system using propellants from the main tank. From around 2007, a new effort to conceptualize new-generation launch systems to be deployed at the future Vostochny launch site, prompted RKK Energia to evaluate how the DM-03 could fit into a number of prospective launchers including Rus-M, Angara-5, Energia-K and other proposed architectures. Future incarnations of Block DM-03 were also studied around 2013 and 2014 for use in superheavy booster designs, such as Energia-5KV. Around the same time, the company also decided to split the Phase I transition to DM-03 into two steps: Phase I (Variant 1), would be custom-built for Proton, while Phase I (Variant 2) would be adapted for Angara-5. Upgrades in Variant 1 would be limited to enlarged propellant tanks, but the stage would still carry the old-fashioned pressurized avionics section built in the form of a torus. Variant 2 would then integrate the new flight control system nestled in a top truss structure, which would also serve as an interface with the payload. 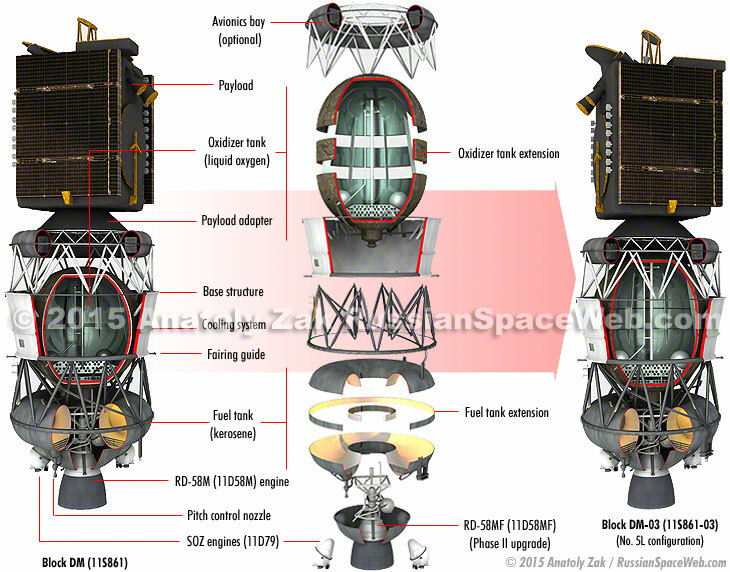 A similar configuration had already been adapted for the DM-SL stage flying on the Zenit rocket. Phase I upgrades would be followed by Phase IIa upgrades, which would be initially flight-tested on Proton and then transferred to Angara-5. Finally, the Phase II upgrade, featuring the new RD-58MF engine, would be incorporated directly into Angara and could fly from both Plesetsk and Vostochny. On July 22, 2015, Roskosmos and the Russian Ministry of Defense issued a joint decision No. IK-287-r entitled "On the order of implementation of the Presei development project and the Dvina development project, OKR, which formally approved the phased development plan. According to the Orion development program, the government ordered production of four Block-DM-03 stages, including the two 11S861-03 Phase I (Variant 2) stages and the two 11S861-03 Phase II stages for flight testing of the Orion upper stage in Vostochny. In 2003, the Krasmash factory produced the first flight-worthy body of the DM-03 stage, designated No. 1L, while RKK Energia's ZEM plant in Korolev built supporting structures. The vibration tests also took place in the first half of 2003. The assembly of the first flight-worthy stage (No. 1L) started in 2004 and was mostly completed during the same year with the exception of the flight control system, which could not be delivered on time. It would then remain in storage at the ZEM plant in Korolev for the next several years. By 2004, the ground testing of the DM-03 stage was also completed and from March to September, RKK Energia worked on adapting the DM-03 stage for a trio of Uragan-M navigation satellites for the GLONASS constellation. However only in June 2007, did the Ministry of Defense and Roskosmos approve an addendum to the GLONASS launch program to use the DM-03 for the mission which would lift off in December 2010. The first DM-03 stage finally lifted off on Proton on Dec. 5, 2010, with a trio of GLONASS satellites however during the operation of DM-03 No. 1L stage, the mission failed. 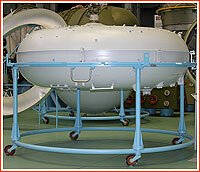 Industry sources told RussianSpaceWeb.com that DM-03 had approximately 25 percent larger propellant tanks than the previous version of the stage. With 2,000 kilograms of extra propellant, which was believed to be mistakenly loaded onboard, the tanks would be filled close to the same level as the old ones - the oxygen tank would be 90 percent full with a 25-percent reserve load. (On Dec. 8, unofficial sources said that liquid oxygen overload onboard Block DM-03 had been 1.6 tons). As it transpired by Dec. 10, Block DM-03 had new (propellant level) sensors, however the loading of propellant was conducted according to old instructions. Official sources later said that an engineering error during the calculation of the fueling of the stage had led to the launch failure on Dec. 5, 2010. On April 13, 2011, the head of Roskosmos, Anatoly Perminov, told the Federation Council that operational missions of Block DM-03 would be temporarily suspended, RIA Novosti reported. In the previous months, the Chief Prosecution Office, which investigated the failure, concluded that the upper stage had been sent into operational flight without enough testing, thus violating the established process for the development, manufacturing and operation of space systems. The manufacturing of the first components for the second flight worthy DM-03 stage, known as No. 2L, started in the fourth quarter of 2009. 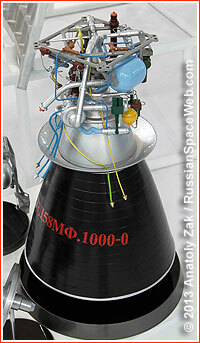 By the end of 2011, plans were made to ship Block DM-03 No. 2L to Baikonur in February 2012. There, it was expected to undergo integrated testing including a fueling trial to avoid a repetition of the first failure. 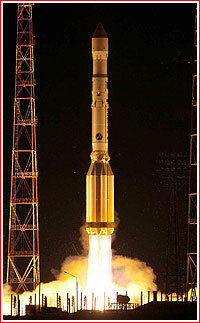 The launch was preliminary scheduled for the middle of 2012, with a another trio of GLONASS satellites. At the time, three DM-03 stages were completed and a fourth was in production. The fifth and final DM-03 stage reached assembly stage by June 2012, clearing the way for the next phase of upgrades, which became known as 14S48 Persei. As of February 2013, the processing of Block DM-03 for the second launch was scheduled to start at Site 254 on April 16, to enable the launch between June 25 and June 28, 2013. During this period, the launch vehicle was expected to make a test run to the launch pad for the fueling of the main tanks of the DM-03 stage. It would then be returned back to the assembly building and processed for launch one more time. The Proton rocket with Block DM-03 No. 2L lifted off again on July 2, 2013, but crashed seconds later. The upper stage obviously never had a chance to fire. According to original plans, on Jan. 6, 2015, RKK Energia planned to ship a pair of DM-03 stages (No. 3L and No. 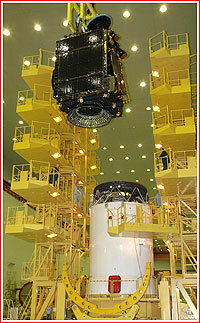 5L) to Baikonur for launches of GLONASS trio and Ekspress-AM8 satellite. However in the end, only the 5L vehicle was shipped at the time, while No. 3L was left at RKK Energia to wait for the next order to replenish GLONASS constellation. At the time, DM-03 was also expected to be used for the launch of Ekspress-AMU1 satellites. Block DM-03 finally flew a successful mission with Ekspress-AM8 on Sept. 14, 2015. The second flight-worthy Block-DM-03 was lost on July 2, 2013. Click to enlarge.